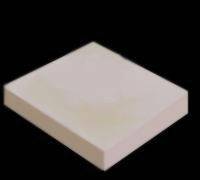 Nova Crystals is a manufacturer of full density high purity (99.8%) ballistic grade Alumina tiles. For more information on our Alumina products please contact us via the methods on the contact page. Copyright 1999, Nova Crystals Ltd.